Published: Dec. 21, 2014 at 04:20 p.m.
On the kickoff return St. Louis Rams kick returner Benny Cunningham fumbles after being hit by New York Giants running back Orleans Darkwa, and fumble recovered by tight end Larry Donnell. Published: Dec. 14, 2014 at 02:48 p.m.
To start the second half, New York Giants kicker Josh Brown kicks an onside kick and cornerback Chandler Fenner recovers the ball deep in Redskins territory. Published: Dec. 23, 2013 at 06:58 a.m.
(7:37) J.Brown 45 yard field goal is GOOD, Center-Z.DeOssie, Holder-S.Weatherford. 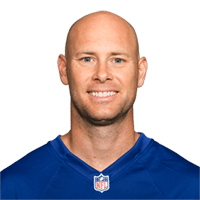 Published: Dec. 22, 2013 at 07:54 p.m.
New York Giants kicker Josh Brown makes a game-winning 45-yard field goal in overtime to defeat the Detroit Lions and eliminate them from playoff contention.